This Mother’s Day Glenda Malmin shared a powerful word about the journey of motherhood through the story of Mary the mother of Jesus. It was challenging reminder that our lives are not our own and children are a gift to be given back to the Father. Watch here if you did not have the chance to hear it live. Blessed is the mother whose children freely laugh & play, for hers’ is the kingdom of heaven on earth. Blessed is the mother who cries when she needs to, but does not lack faith, for she will be comforted. 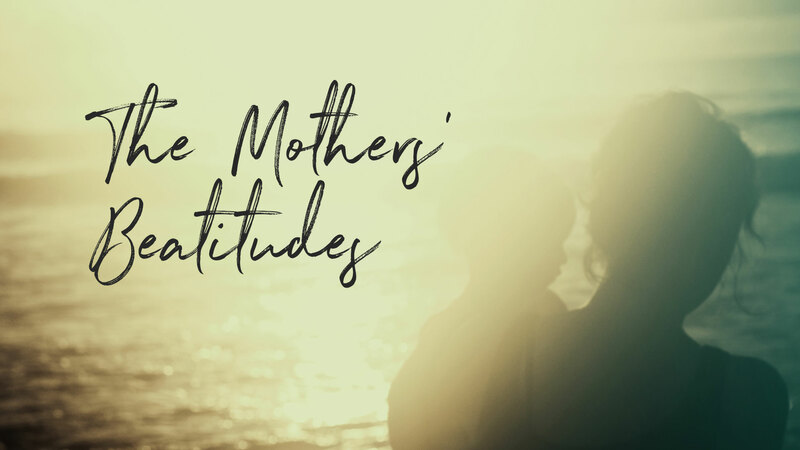 Blessed is the mother who has a gentle disposition in the midst of a child’s fluctuating emotions, for she will inherit the hearts that have been stilled. Blessed is the motherwho hungers for “a closer walk with Thee,” for she will be nourished & sustained. Blessed is the mother who is merciful in moments of contradiction, for she will receive mercy in the days that lie ahead. Blessed is the mother who is pure in heart & in spirit, for she will see God in the eyes of her children. Blessed is the mother who is a peacemaker in times of storm, for she will be called trustworthy & true. Blessed is the mother who is disheartened in the journey, for there is yet a future & a hope. Blessed is the mother who alone can see her child’s potential, for God Himself will be her rear guard. Blessed mother…. rejoice & be glad because great is your reward in heaven. The journey of a life well-lived is an eventful one. It’s heart-breaking at times & incredibly fulfilling at others. It’s the ‘thrill of victory’ or ‘the agony of defeat.’ It is both costly & rewarding. It is a lifelong journey,for sure, but it is one that will bring much fulfillment as we remain on the pathway in step with & in tune to the voice of our Heavenly Father. Let us go forward in faith & obedience on this journey of life and live it well for the sake of the next generation. Decision Making Course by Ken Malmin, Professor and Dean of Portland Bible College.